The best e-commerce platforms in the Philippines today are bound to experience a brighter future. In a survey featured in the ‘Digital in 2017’ report by HootSuite and We Are Social, around 30.34 million Filipinos are purchasing goods via e-commerce sites. The increase in smartphone usage in the country contributed largely to the rise of these platforms. More than half of Philippine’s population has access to the internet, and 50% of them has visited or searched online for a product or service to buy. Convenience is mostly the reason why Filipinos prefer online shopping. While shopping centers and malls in the Philippines still have a lot of foot traffic, it’s the convenience of these sites that attract more and more customers into ordering online. They also offer coupons and discounts and other perks like free shipping to make the deals sweeter. E-commerce platforms also offer more payment options for its patrons. Customers can pay via mobile money transfer, online bank deposit, or over-the-counter bank payment. Most e-commerce sites also offer cash on delivery services. Personal sellers even have a meet-up option where they personally give their customers’ purchases. Here are some of the popular e-commerce platforms in the country. Lazada is the leading online shopping platform in the country with more than 1 million daily average visitors on their website. Starting as a retail e-commerce company, Lazada reshaped their business model and turned it into a marketplace platform, where merchants can sell their products directly to customers. Any BIR registered Philippines based business entity is eligible to sell on Lazada Philippines. There are no maintenance or listing fees, just standard commissions and payment service fee. The company currently has thousands of active merchants including SM, Philippines’ largest shopping mall builder. In 2014, the two competing for classified ads–Sulit and Ayosdito, joined forces and became OLX Philippines. The users from Ayosdito were redirected to OLX, resulting in a bigger amount of customers. OLX is the largest buy and sell community in the country today. Millions of Filipinos visit this site to buy or sell their new or secondhand items. Sellers and buyers can register on OLX without any charge. There’s a certain number of ads that sellers can post for free. The limit depends on the category they are posting in. Once they reach the limit, they can purchase a Paid Ad slot to continue posting ads. Zalora focuses on fashion accessories for men and women. Founded in 2012, the platform became a favorite place for shoppers who love international brands. It recently added Hollister, Topshop, Dorothy Perkins, and Abercombie and Fitch to its growing list of featured brands. Apart from offering great customer service and a fantastic selection of clothes, Zalora gives special vouchers and discounts every now and them. They also keep their followers updated with the hottest looks and newest fashion trends. Metrodeal offers discount vouchers from various establishments and brands. Customers can purchase in different methods. They can use a credit card, Paypal, online banking, GCash, and over-the-counter deposit at all banks and LBC. Once payment is complete, they’ll receive an email with the voucher. They have to print it and show it to the merchant when they redeem it. Metrodeal also helps local businesses find and keep more customers. They can create online promos and give brands the exposure they need. To partner with them, entrepreneurs have to fill out a form and Metrodeal will get in touch with further details. With more than 40 million downloads, Shopee is the country’s number one shopping app. 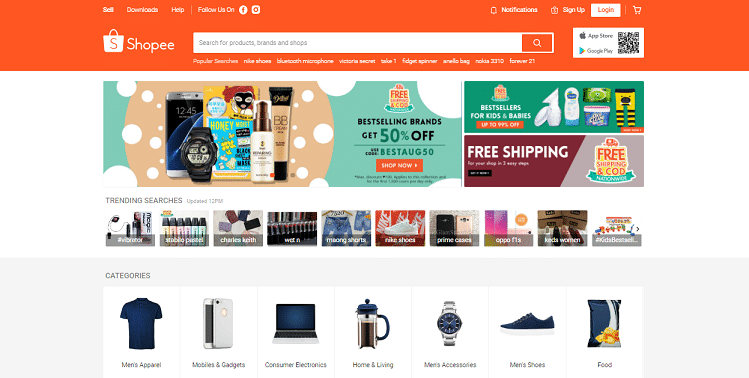 Shopee is designed for customers who always shop online on their smartphones. Customers can shop with ease, thanks to the app’s user-friendly interface. They can even chat with the seller without leaving the app. Selling is also easy on Shopee. Sellers just have to sign up on their page for free, then snap photos of their products and set a price. Shopee also ensures payment is sent to sellers only after buyers receive the purchases. This protects customers from scammers. Lamudi is an innovative real estate finder that offers a wide range of properties for sale and for rent. Here, property seekers can easily find a house, apartment, land, or commercial space. The platform offers free customer support and high-quality listings. Lamudi also updates the broker profiles, contact details, and business information to ensure the convenient relationship between the buyer and seller. They also run a blog, where they give valuable tips to real estate brokers and property seekers. Carmudi is Philippines’ top online vehicle marketplace. It aims to provide a faster transaction between car dealers and buyers by giving innovative online ads, with a wide selection of new and used vehicles. The website is easy to navigate and armed with useful tools and a free chat support. Carmudi’s highest priority is maintaining the quality of ads they post. Each ad has to go under strict screening before going online. This way, customers will have access to great deals and vehicles. One of the oldest online shopping sites, eBay has a wide variety of new and used goods. From baby items to electronics, users can find almost everything they need here. Shoppers can register for free. Once registered, they can participate in eBay’s community discussion boards and chats, where they can get tips and ask for help. eBay Customer Support representatives also offer assistance on many boards and chats. On the other hand, sellers have to provide eBay with their valid credit card, Paypal, or bank account details. They also have to submit a verified ID before they can start selling. Zipmatch provides an online real estate marketplace for home seekers and real estate investors. Their website has interactive visual content like 360-degree virtual property tours, 3D floor plans, and interactive neighborhood and establishment maps. Home seekers can also check out property reviews by real estate professionals, and people who’ve lived, visited, or are planning to live there. Aside from that, Zipmatch can connect them to trustworthy agents who can help them find their ideal home. Also, Zipmatch’s ‘Home Buying Blog’ gives tips and important information about getting a house loan or buying real estate in the Philippines. 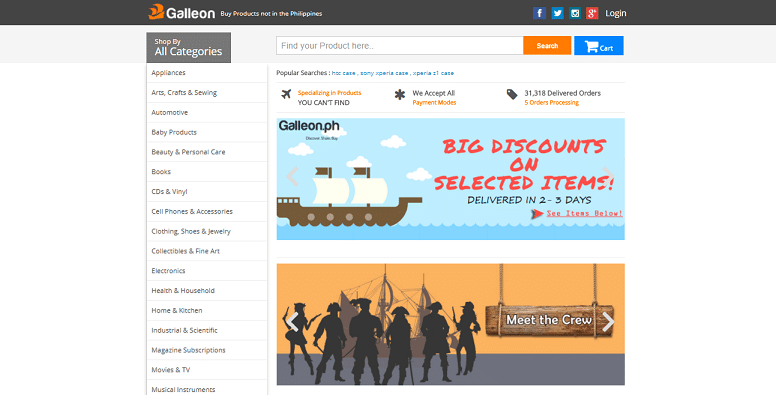 Galleon specializes on products that aren’t available in the Philippines. All their products are sourced directly from US and China suppliers, but customers can pay in Philippine currency. Orders are shipped directly to their doorstep, and the site assures there are no surprise charges. Galleon’s website also lets shoppers calculate the shipping date by simply putting the date of payment and location. They also have a live chat support that can assist shoppers anytime. 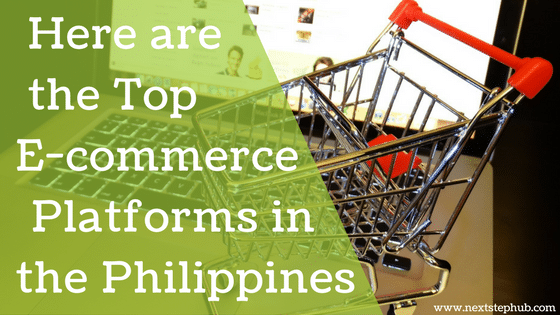 What’s the best e-commerce platform in the Philippines for you? Tell us in the comments.